Shiva Lingam is a tough crypto-crystalline Quartz with impurities that give it a very unique appearance. This stone has iron oxide deposits within it, said to come from a meteor that crashed into the river millions of years ago. It contains a mixture of Agate, Basalt, and Jasper. 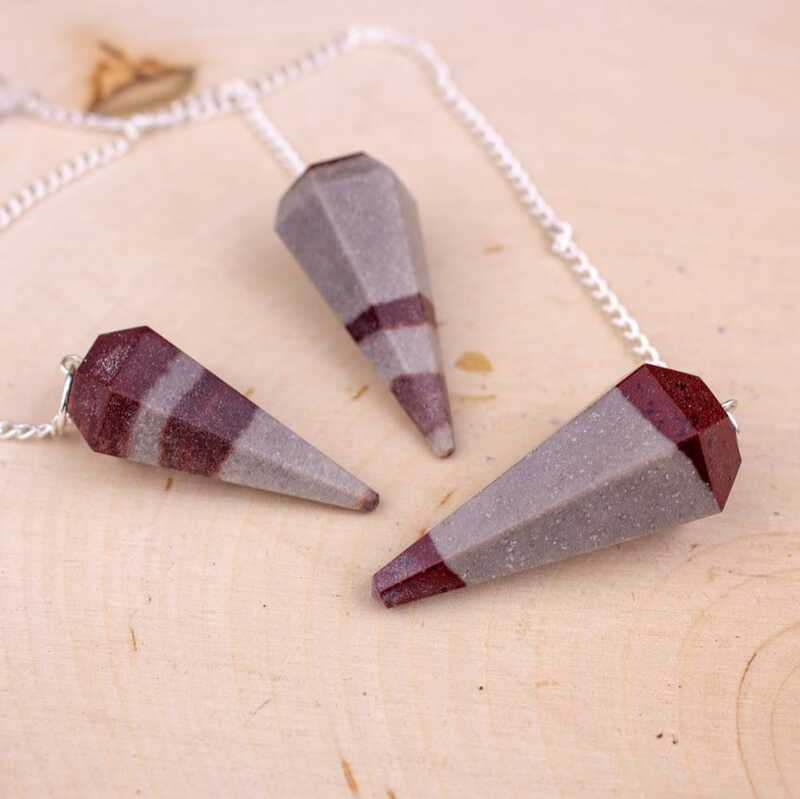 The color of this stone is primarily grey or pale brown with brown-red patches, stripes, or rings throughout. No two Shiva Lingam stones are alike, each one is unique. The most defining characteristic of Shiva Lingam is its smooth egg shape which is formed from natural tumbling within the Narmada River, where it is gathered and hand polished by villagers. The Narmada River is one of the seven holy sites of India, and one of the five holy rivers, located in Onkar Mandhata (in western India). Shiva Lingams represent the beginning of all creation and are physical manifestations of divine male and female energies. They embody the masculine energies through their solid oval shapes and the feminine through their many unique patterns. It is through this formation that they are able to link to the force of creation, just as humans can physically birth new life through connection of the male and female bodies. 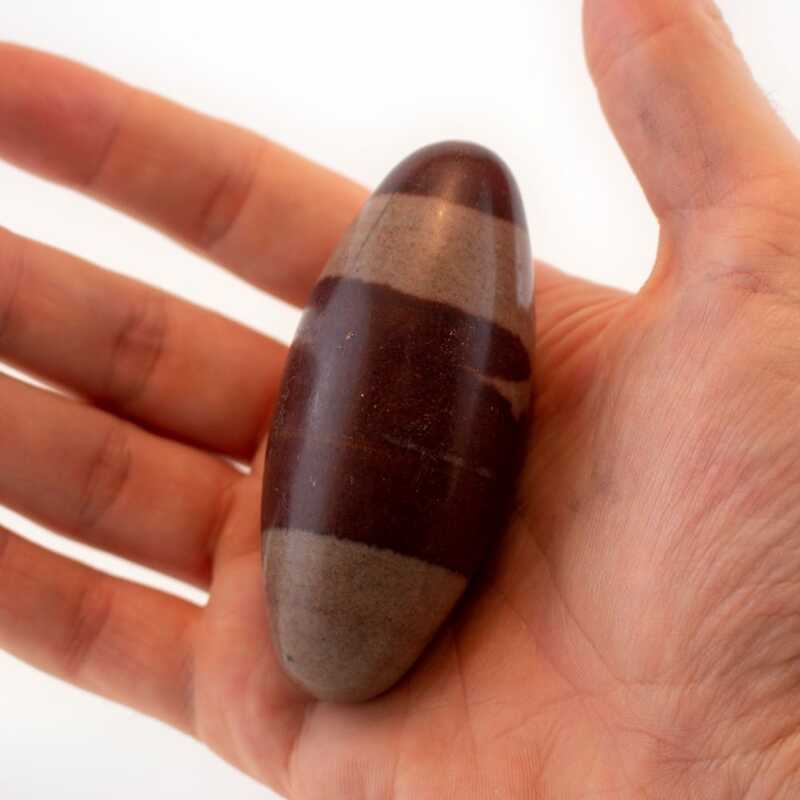 Shiva Lingam aids in understanding polaric energies such as male/female, light/dark, and spiritual/physical so that one may see the one unifying force of God that exists behind them. This helps one to heal and bring each polarity together within the self so they may work in harmony, bringing one to a state of self acceptance as well as acceptance of the differences in others and in all of creation. The deep connection that Shiva Lingams have to creation give them a powerful resonation with all elements. They carry with them a strong connection to the earth element, so strong that it provides a deep link with the Earth itself for a pure connection and understanding of the planet we call home. Water itself is able to change shape and the Lingams have been shaped by the water. This is an intimate bond that is held within the stone, allowing one develop emotional and spiritual knowledge of great depth. It provides the cleansing effects of water and has a gentle cooling effect on the body. One may notice an influx of intuitive insights as well when working with a Shiva Lingam. Although it can easily cool the body, this stone is able to pick up and store heat very quickly. It contains immense fire energy within it which can be felt as it energizes the entire body and auric field. The fire energy in this stone is so intense that it can immediately activate Kundalini energy and ignite the soul. When meditating with Shiva Lingam one can feel this intense energy moving from the base of the spine all the way to the top, moving the sacred energy within through the chakra column and activating every chakra along the way. This also provides an incredible boost to vitality and prana. Prana is the breath of life - originally coming from God source to the human body at birth. We breathe this breath every day of life and through breathing we can work closely with the element of wind. When meditating with Shiva Lingam one may notice an increase in the amount of air that one can breathe in. When paired with pranic breathing techniques, this becomes further amplified and allows one to bring out the full force of the wind element within the stone and in one’s own body. 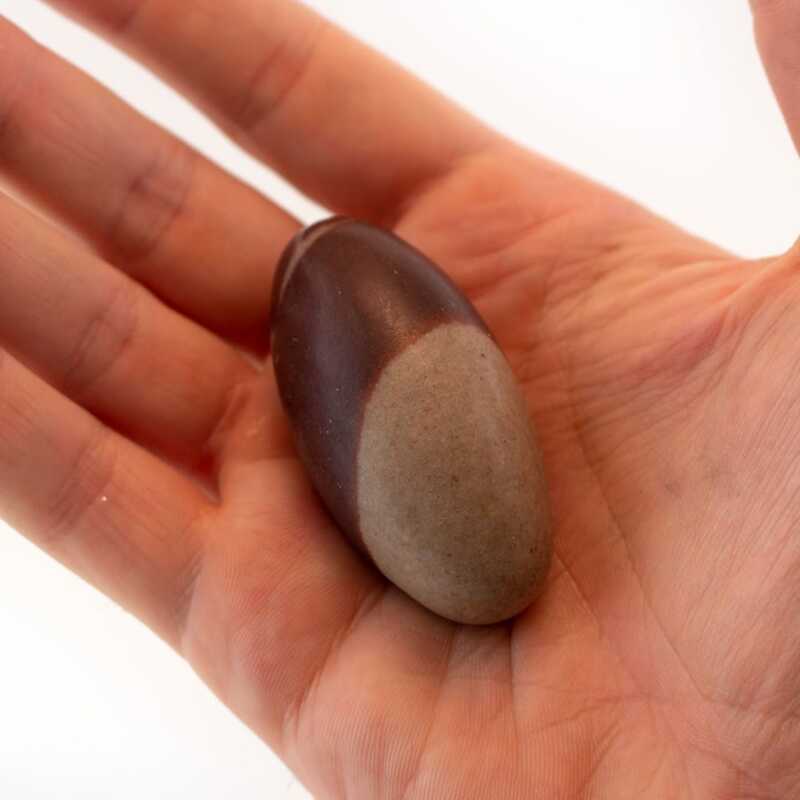 Shiva Lingam’s resonance with wind can also be felt by simply holding the stone and rolling it around in your hands. It has a lofty/airy feel to it that helps to soothe the mind. 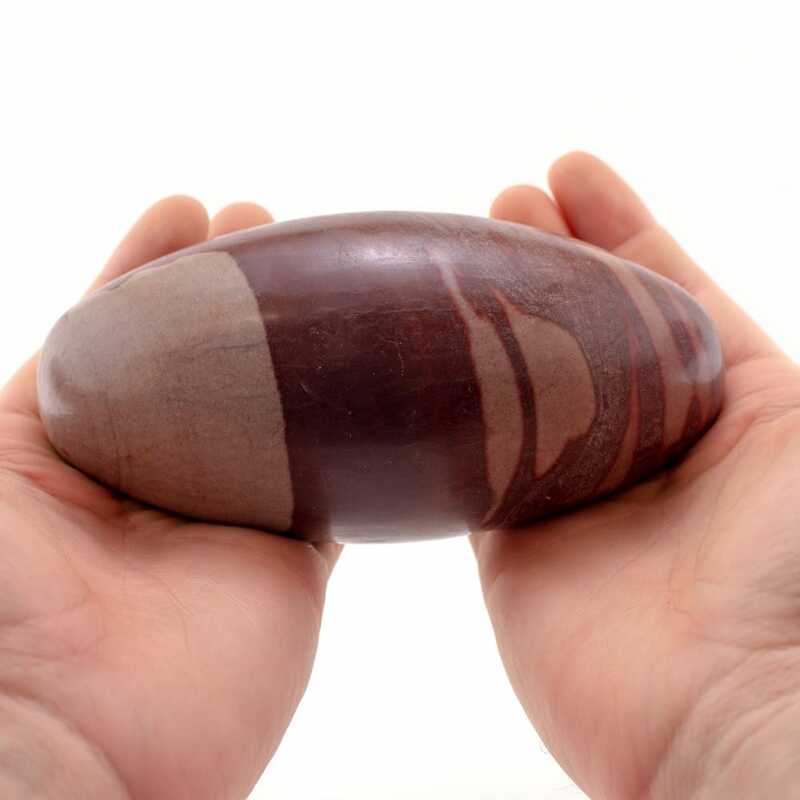 Shiva Lingams are overall transformative stones and contain the storm element as well. They supercharge the body’s electromagnetic field and greatly enhance chakra flow through all vital points in the body. This allows one to hone in on inner transformation through realizing the patterns, beliefs, and habits that are holding one back from their greatest purpose.